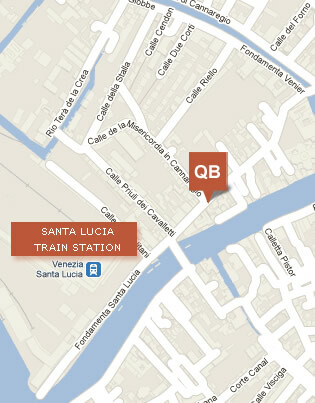 Located in the famous, historical and bustling Cannaregio neighbourhood of Venice, Quanto Basta is ideally located to feed you in the midst of all of the places you want to see. Its great location, quality cheap food and great service are some of the many reasons we are always heaving with satisfied customers – so don’t delay, come down today and sample why we are so well renowned throughout Venice and the world. Venice is a dream location with an atmosphere and character that has an enchanting mixture of romance, beauty and history renowned the world over. It is no wonder therefore that Venice enjoys around 15 million visitors per year and all looking for that traditional Italian and Venetian hospitality. For this reason, the level of customer service can decrease and Venice is a very expensive city. Acutely aware of this phenomena and wishing to restore the reputation of great Venetian hospitality and quality of food, the ‘Quanto Basta’ restaurant in Venice is focused on serving high quality traditionally homemade food – pizza, kebabs, gelato (ice-cream), cakes and chocolate and at a low and affordable price. Perhaps this is why of the 800 or so restaurants in Venice, Quanto Basta is rated in the top 40 for the whole of Venice (see tripadvisor.com where one can also find hundreds of great customer reviews of our restaurant)! People from all over the world have eaten at Quanto Basta and often come back day after day as they have found the price, service and quality of food unbeatable in Venice. If you’re looking for great value, low price but high quality food – then look no further – Quanto Basta is the place for you. Italy is the home of pizza and at Quanto Basta you truly receive homemade pizza prepared and cooked in minutes right before your eyes. Piping hot and overflowing with toppings the pizzas are huge – far bigger than one normally finds in Venice – to fill you up after your hard days sightseeing and at an extremely low price. Venice has always had strong commercial and trade links with all parts of the Roman Empire which of course at one time included Constantinople (now Istanbul) and other eastern areas from where the kebab traditionally originates. For this reason the kebab has been a feature of Venetian cuisine for generations and here at Quanto Basta, our homemade kebabs are of top quality, bursting with flavour and top quality ingredients, which can be a welcome change to pasta and pizza one usually overdoses on in Italian eateries. We have two speciality kebabs which are renowned the world over – taste them and find out why! Continuing our ethos of quality homemade traditional food, Quanto Basta also bakes and makes it’s own delicious cakes and chocolate that are simply to die for. All made on the premises with the best ingredients, our confectionary is mouth-watering and full of flavour for those who wish to indulge themselves on their holiday of a lifetime.